No, this isn’t the same as playing golf. But hitting balls outside — even if it is off of mats — beats watching golf on TV or playing Tiger Woods 12 or hitting balls inside. There were a few ranges that opened this weekend here in MSP. None of them were particularly close to my house. 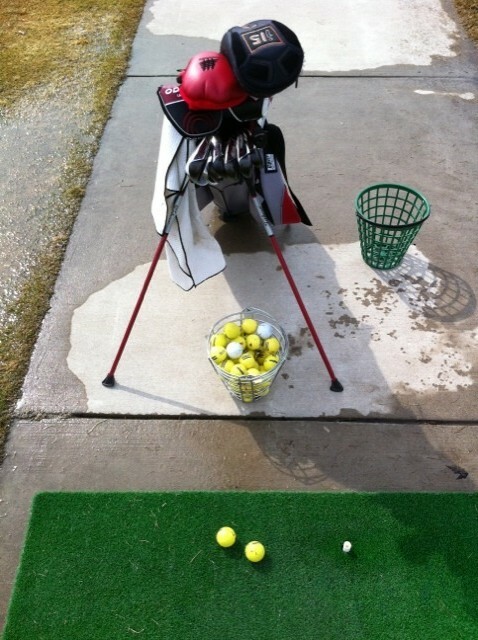 I went to Riverwood National in Otsego and hit one large bucket of balls. We did have a couple of Twin Cities courses open this weekend. Creeks Bend just north of New Prague opened on Saturday. And Parkview — an executive course in Eagan — also opened. I can only imagine how wet it was out there. I’ll wait a week. It was fun. But I really hope this was the last golf free weekend until November.